The Beetle R-line Exclusive is the latest in the series of this iconic Volkswagen. From its stand-out design and good looks to its modern, premium interior, the Beetle R-line Exclusive superbly carries its proud heritage into the modern age. The 7-speed DSG vehicle is equipped with a 1.4 TSI engine and 110kW of power. The last thing you'll be calling the Beetle R-line Exclusive is cute. Combining classic styling and modern technologies, there's no mistaking the new Beetle. The sports styled bonnet and sharper roofline create a contemporary look that delivers real appeal. 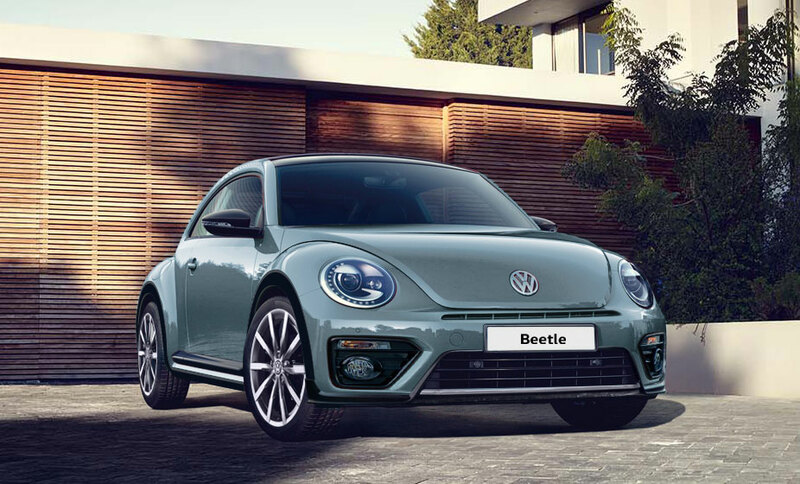 Combined with newly designed sport-styled bumpers, the Beetle R-line Exclusive provides a design that's as edgy and iconic as ever. LED taillights, Bi-Xenon headlights with sleek LED Daytime Running Lights not only add to the modern looks of the Beetle R-line Exclusive, but provide improved vision, visibility and less strain on your eyes when driving at night. The Beetle R-line Exclusive includes distinctive flourishes including 20" Monterey alloys, high gloss black mirror housing, black wheel arch flares and black and chrome side protection panels. The stylish sports instrument dials sit on the dashboard provides you with information gauges for the turbo boost pressure, oil temperature and a stopwatch to measure journey times. A 6.5" colour touchscreen puts your infotainment at your fingertips. The Beetle R-line Exclusive values comfort as much as performance. 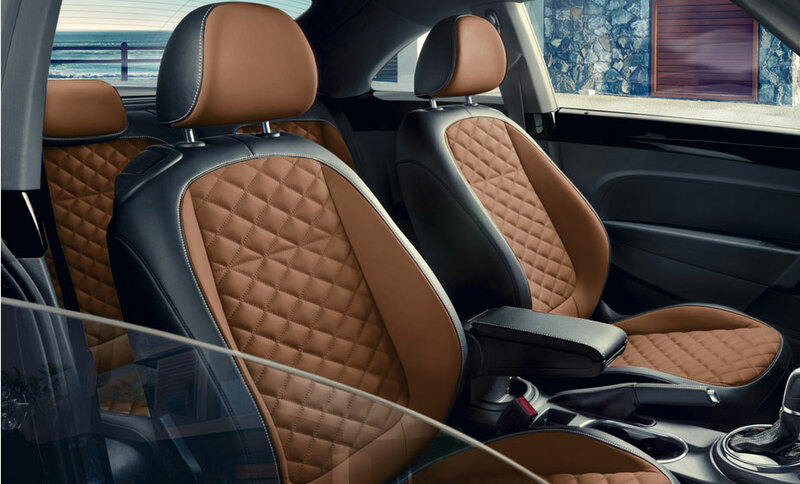 The interior's Sport seats with heated function and lumbar support showing off side bolsters in "Nappa" Cool leather, you might forget you're driving this stylish machine. The Minimum Options are displayed for each upgrade and/or extension. For a comprehensive quotation on further extension offerings please contact your nearest dealer. Prices / Specifications subject to change without Prior Notice. 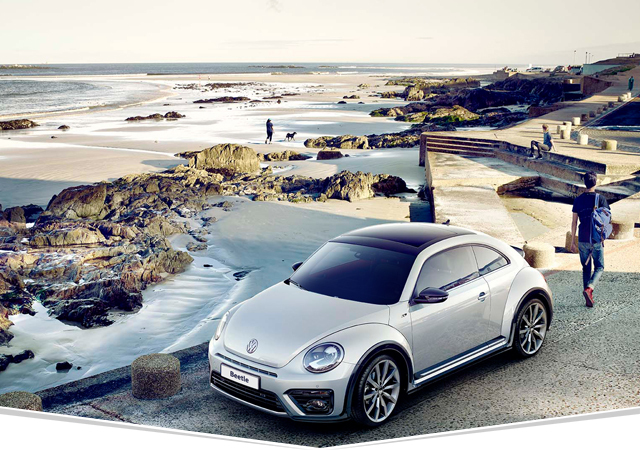 Picture yourself in a new Beetle R-line Exclusive? New Limited Edition Beetle R-line Exclusive.